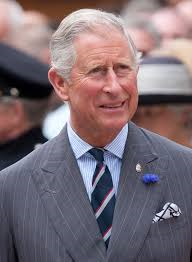 Charles, Prince of Wales, is 70 in six days and will possibly be approaching his 80s when he succeeds his 92 year old mother, Elizabeth, on her death and to the throne, as King Charles III and monarch of the United Kingdom and the other Commonwealth realms. 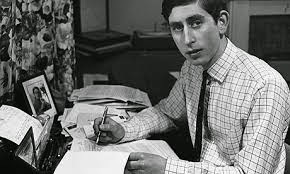 To mark his birthday, Charles, has sought to quell concerns of his future subjects that he would be a "meddling" or activist King and has said : “You can’t be the same as the sovereign if you’re the Prince of Wales or the heir. But the idea somehow that I’m going to go on in exactly the same way if I have to succeed, is complete nonsense because the two situations are completely different. You only have to look at Shakespeare plays, Henry V or Henry IV part I and 2, to see the change that can take place, because if you become the sovereign then you play the role in the way that it is expected." The end of Charles pronouncements on architecture will be a great loss to Britain. At first sight, the Prince might not appear to be qualified to make them because, at school, after studying 'A' Level History and being awarded a grade 'B' and gaining a 'C' in French, in 1967, he took his place at Trinity College at the University of Cambridge and in his first year studied Archaeology and Physical and Social Anthropology, followed by two years of History, culminating in a 2.2 degree in 1970. Charles 'got' architecture somewhere between his graduation at the age of 22 and the after-dinner speech he gave at the Royal Institute for British Architects’ 150th Anniversary Dinner, when he was 36 in 1984. In what should have been an innocuous affair, instead of congratulating them all for doing such a jolly good job, he took the opportunity to excoriate the profession and their modern designs, with his immortal description of the proposed extension to the National Gallery in London (right) as a "monstrous carbuncle on the face of a much-loved and elegant friend". 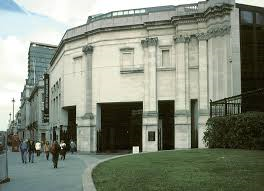 As a result of the ferocity of his attack, the design for the extension was dumped and the career of its architects, ABK, nosedived and proudly in its place, the fake-classical design by Venturi Scott-Brown stands today. 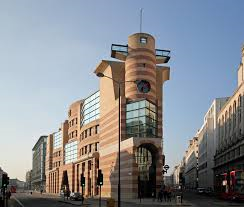 Thankfully, in the same speech, the Prince managed to kill off an office block by the legendary German architect, Mies van der Rohe, no doubt complete with Miesian signature corners, which was to be situated near the Bank of England and instead, Britain got, the spectacular postmodern 'No 1 Poultry Building' by Stirling/Wilford. 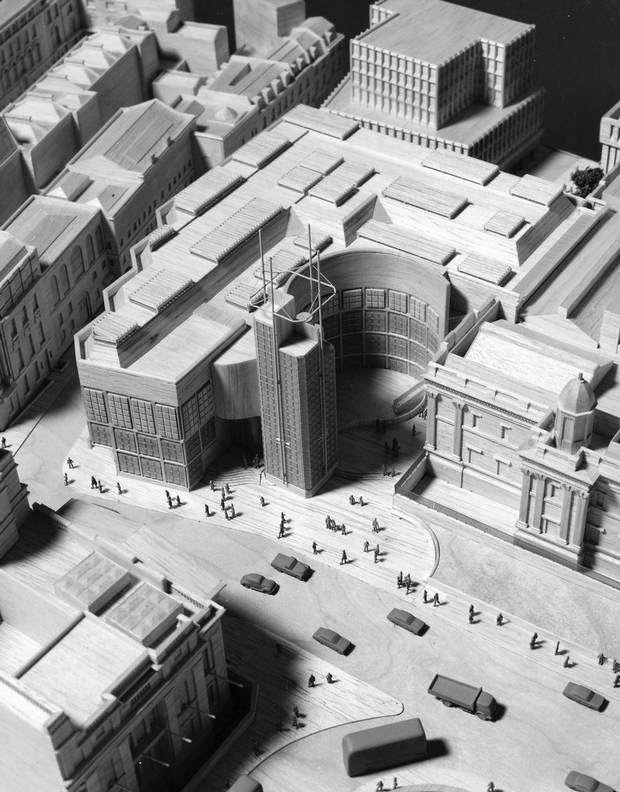 Later, in 1987, Charles criticised a scheme for Paternoster Square, next to St Paul’s Cathedral, by his bete noir, Richard Rogers, saying "you have to give this to the Luftwaffe, when it knocked down our buildings, it didn’t replace them with anything more offensive than rubble” and mercifully it was quickly dropped. Over subsequent years, in publications such as his 'Visions for Britain', Charles gave us his opinion of John Madin's 1974 Birmingham Central Library as “a place where books are incinerated, not kept." 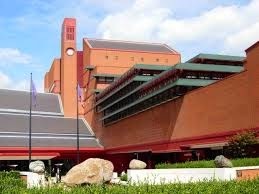 While the British Library (right), by Colin St.John Wilson, was “more like the assembly hall of an academy for secret police”. 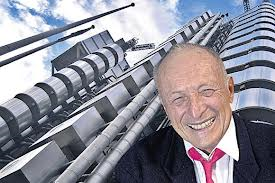 In 2014, the Prince used his Royal Privilege and got directly in touch with the Qatari Royal Family to get Richard Rogers, who by this point had been made Baron Rogers of Riverside, thrown off the project to redevelop the Chelsea Barracks. * must also have scale as a key. * should have limited signage. * developments that must respect the land. * creating harmony where neighbouring buildings must be ‘in tune’ but not uniform. 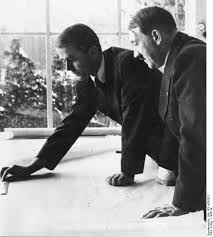 * the creation of well-designed enclosures. * recognising materials also matters and the use of local wood beats that of imported aluminium. * putting the pedestrian at the centre of the design process. * recognising that space is at a premium, but not result in high-rise builds. 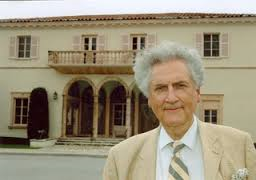 Charles has also been fortunate in surrounding himself with traditionalists like Quinlan Terry who believes classical architecture is an expression of “divine order” and Leon Krier, much of whose career has been spent trying to redeem the neo-classical architecture of Albert Speer and architect of Hitler's Third Reich. 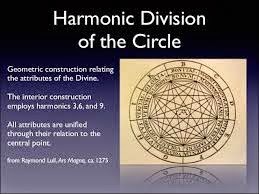 * return to the harmonic principles of the classical orders of ancient architecture, themselves inspired by the sacred geometry of “nature” and an order which is “innately beautiful”. 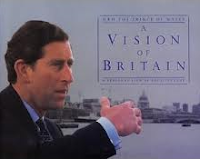 And Charles, who may not be a 'Prince of the People' is certainly a 'Prince for the People', believes that architecture using this language, this geometric grammar, “communicates directly to people by resonating with their true being”. 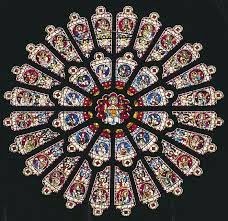 In this scheme, the geometric rose windows of a medieval cathedral, like Durham, are seen as “physical manifestations of the Divine order of the universe” and are inherently beautiful. This could be a paean in praise for Monarchy itself. Britain acknowledges the fact that for more than 30 years, the good Prince may have been the bane of the architectural profession, but he has wielded, the power bestowed upon him, albeit, by an accident of birth, to influence the design not only of individual buildings and projects, but the entire debate about what architecture is, who it is for and what it should look like and for this, his subjects and the country are profoundly grateful. His pronouncements not only in architecture, but also his other areas of expertise : GM crops, integrated medicine and climate change, will all be sorely missed.